Travel Fast - Travel Smart! You can now use your Apple or Android phone to pay your toll at any Alabama Freedom Pass® network facility. No more fishing for change, no more swiping your credit card. You don't even have to pull out your current Freedom Pass card - just punch in your location to pay your toll. You can link your phone with your existing Freedom Pass account or bill a major credit card (Visa, MasterCard and Discover). Using your sevice deducts the toll amount from your pre-paid toll funds or charges you on the go. You can even have a receipt e-mailed to you after each trip. Instant balance information is available for current Freedom Pass account holders. 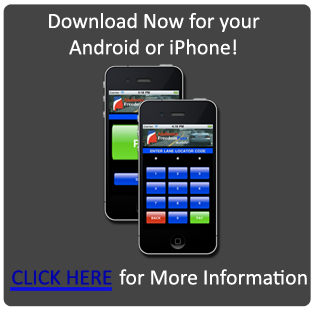 Click here for more information and to download the app! The Quickest way to East Montgomery for Shopping and Dining. The Emerald Mountain Expressway is an alternative to Highway 231, to get to East Montgomery for work, your favorite restaurant; or just to do some great shopping at the malls. A 15 minute drive through the Expressway, in a country setting, is more pleasant than the typical congested route of Highway 231. At times it takes 45 minutes to an hour to get to your destination using Hwy 231, where the Expressway can get you in 15 minutes or less. Gift Certificates Now Available. Stop by the office today! Click here if you've used a credit card in the lane to pay for a trip and would like to reprint your receipt. “What a great convenience for your customers, it has already helped me out tremendously." ©2019 Emerald Mountain Expressway. An American Roads company.